Marvel picks up from the success of their adult coloring books and kicks things up a notch with adult connect-the-dots books featuring Captain America and Spider-Man in the inaugural batch. Read the official press release below from Marvel and Ilex Press for the Amazing 1000 Dot-to-Dot Book. Ilex Press (part of the Octopus Publishing Group) have partnered with Marvel to produce a collection of exciting new ‘adult activity’ books. Marvel’s Amazing 1000 Dot-To-Dot Book will release in the US/UK this October and Marvel’s Spider-Man 1000 Dot-To-Dot Book will soon follow. 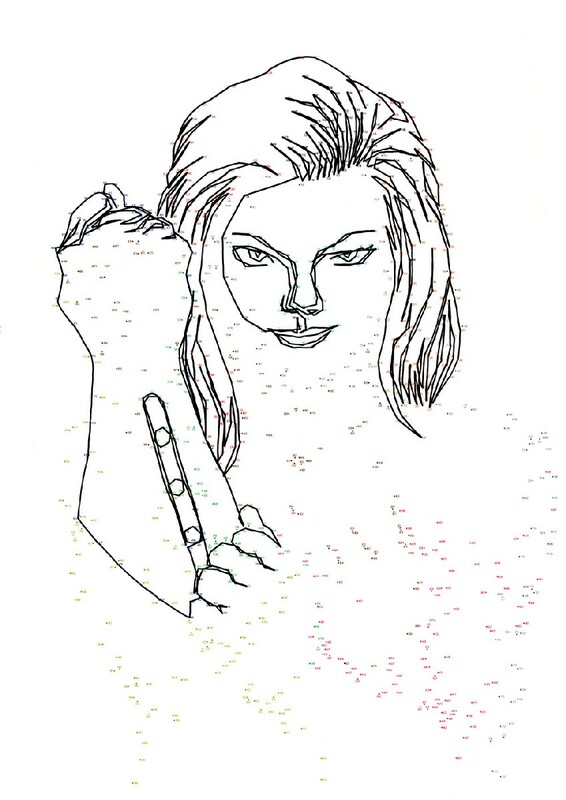 Expect more Dot-To-Dot Books based on major Marvel characters throughout next year as well. All will have foreign translations for worldwide release. 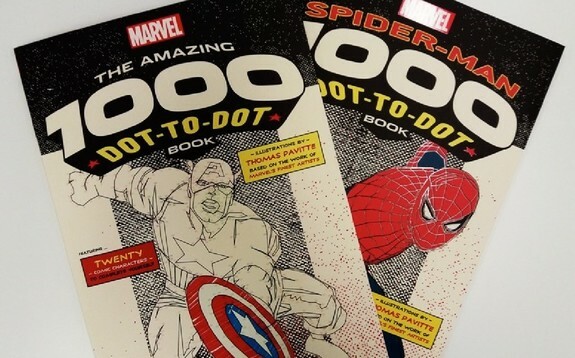 Marvel’s Amazing 1000 Dot-To-Dot Book – will include 20 satisfyingly complex Dot-To-Dots including Iron Man, Hawkeye, Thor, Ant Man and Captain America, among other favorite faces from Marvel’s universe of Super Heroes. Marvel’s Spider-Man 1000 Dot-To-Dot Book will feature 20 characters connected to the web-slinger, including Jonah Jameson and Doctor Octopus. Ilex’s oversized 1000 Dot-To-Dot Books by illustrator Thomas Pavitte have led the way in the activity book craze. His first five titles have taken the world by storm and been published into 25 languages, with over 1.5 million copies sold. Ilex’s Roly Allen said, “It’s been amazing to be able to step into Marvel’s universe of characters for this project. Their editors, our team, and Thomas Pavitte have worked incredibly closely to create puzzles that will delight Marvel aficionados and bring their favorite characters to life in an exciting new way.” This is Ilex’s first foray into licensed publishing. I’m definitely interested in getting this but I personally want to get that Civil War Coloring Book first before picking up anything else.